Percussionist John Wooton, Director Of Percussion at the University Of Southern Mississippi, will be embarking on a southeastern U.S. clinic tour next week. In addition to his teaching responsibilities during the school year, John runs four percussion camps at the University of S. Mississippi over the summer. March 15 – Florida State University, John Parks – Percussion Prof.
March 16 – Univ. 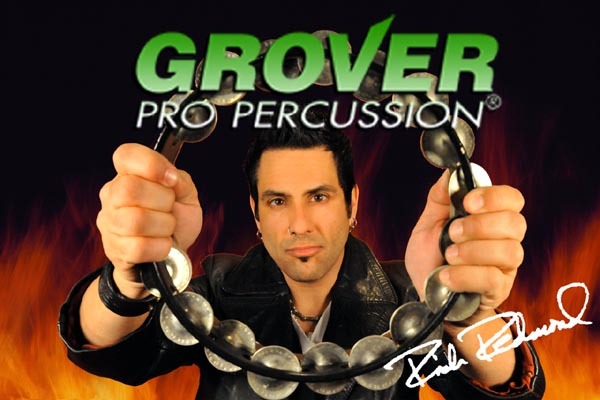 of Central Florida – Thad Anderson – Percussion Prof.
On April 14th Grover Endorser and Nashville Studio Percussionist Rich Redmond will be appearing as a clinician and guest artist at Frenship High School, Lubbock, TX. The clinic is sponsored by the Texas Chapter of the Percussive Arts Society. 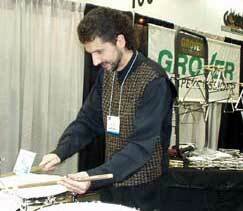 Rich is not only one of the busiest percussionists in Nashville, but he’s a highly sought after clinician as well! He regularly performas with country artist Jason Aldean. David Collier, Director of Percussion at Illinois State University, will be the Percussion Coordinator for the Music for All “Honor Band of America” on March 14-17, 2012 in Indianapolis, IN. This ensemble is composed of the finest HS wind and percussion students auditioned from throughout the country and is a component of the National Music Festival.